I have also had books confirm my beliefs and to a very large extent most of my beliefs have been formed by books, since I read a lot. Interestingly enough, Jacques Ellul remarked, that the people most susceptible to propaganda are those who read a lot, since they filter a lot of information through their brains. Considering how his book (which I suggest you read as it may significantly change your perspective on your role in society) was written in an era before mass TV, it may be that those most easily influenced today are those who watch a lot of TV and secondarily those, who read newspapers, magazines, bestsellers, and yes … popular blogs. Consequently, it follows that if you want to think differently than everybody else, not necessarily as an end but more as a means to and end of living differently, you should also read different books. What follows is a somewhat eclectic selection of books on personal finance and development that has formed me in a dare I say positive (a few say negative) manner. I only discovered this book recently, but this has got to be my favorite of this list. Written for another time (the 1970s) and containing a recurrent fascination with weed (which you can just ignore) it is exactly what the title says: Living with style without spending a lot of money. The author and I seem to share similar interests (except I would replace weed with single malt scotch, preferably from Islay and aged at least 10 years) except perhaps me being an evil and exploitative capitalist as well. There is a revised and less extreme version version called Living Cheaply With Style. I much prefer the former, naturally. A short story of a young man who can wait, think, and fast. These three qualities, which are the exact opposite qualities that our instant gratification and listen to the experts culture promotes, are very useful to reach any kind of success. This book will teach you more about economy than any undergraduate degree in economics. Read the entire 1200+ pages. Strongly recommended. Once again, how to live well while spending very little money. The strategy here is to work sporadically and living off the savings the rest of the time. The original freedom manifest. As far as I’m concerned everything started here. If think any given pf-book has original ideas; the life-energy of Your Money or Your Life (another good book! ), for instance, you can find the concept in Walden already. I quote: “The cost of a thing is the amount of what I will call life which is required to be exchanged for it, immediately or in the long run”. The libertarian angle. While the whole of society is decidedly anti-libertarian or anti-freedom (at least when it comes to other people), this books delineates how to stay sane and arrange one’s affairs to avoid this. Conformists beware! This is the closest thing I have to a bible. This book by Marcus Aurelius (Roman Emperor for 19 years as well as a stoic philosopher) covers the more important issues, like life, death, adversity, and how to be an overall good guy. This is a fun read although also slightly dated. Again, the important part are the basic philosophies (take what you can use and leave the rest) as well as moving the boundaries of what you think is possible. Some of these books will be really hard to buy, since the owners are very reluctant to get rid of them. However, most and possibly all of them can be ordered from the library. Also, if you read the comments below, many of them are available online. Please let me know in the comments if this list was useful to you and if you would like to see other similarly esoteric lists, even off-topic, like science fiction, cooking, psychology, investing, fitness, or whatever I can dream up. next post: Does early retirement require a specific personality? 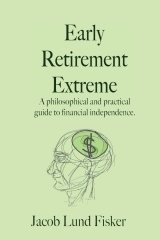 37 users responded in " My list of financial freedom books "
Thanks for the list. I’ve been looking for a list like this. I’ve read the Saint, Surfer & CEO which was a nice read but maybe not all that “meaty”. Going to check out the public library to see if they offer any of the titles you mentioned. Ever read “Games People Play”? If Thoreau needed $6 to pay for something, and he found a job paying $3 an hour, he would work for two hours. It was just that simple to him. @Chris L. – Yes I have. It will probably go on a future list if I do one of psychology. Also, have you read Harry Browne’s investment books (or listened to the podcasts)? If so, what do you think of it/them? Living Cheaply with Style is probably the updated version of Living Poor with Style. Another good book by Callenbach is Ecotopia. Thanks for the book list, I will take a look into some of them. What I find interesting is the last book by Marcus Aurelius. With all the new stuff invented through 2000 years and all the information we get now, there are still things that stay the same even after 2000 years and that a 2000 year old book can teach us. Your Money or Your Life was THE pf book that really woke me up. I think somewhere down deep I understood all the concepts already, but that book really put it all together for me. Those look like interesting, and varied, choices – thanks for sharing. Ty for this list! Checking out Meditations now! Great list Jacob, Walden is my favorite, read it when I was 12 or 13 and it forever changed my view of life and living. “Freed, Dolly. Possum Living: How To Live Well Without A Job and With (almost) No Money. New York: Universe Books, 1978. Dolly Freed & her divorced parents were interviewed by Merv Griffen (I think it was him), but I’ve not been able to find anything more than a few still pictures from that on the internet. There is also a longer documentary available on 32mm film. Her brother is selling candle-making videos on Amazon.com in conjunction with her mother’s candle-making supply store. I would like to How to Live Well Without Owning a Car by Chris Balish. This book motivated me to go from car-lite to car-free. Over 2 years now and not owning a car has been a huge factor in my savings. Check out writings by Epictetus too, another Stoic. Tightwad Gazette trilogy by Amy Dacyczyn. “How I Found Freedom in an Unfree World,” by Harry Browne, is a great help in breaking free from the herd. Even though the book was written in the 1970s, the ideas are still relevant today. Unfortunately, Harry Browne, the author, died in 2006. “Cashing in on the American Dream” (How to retire at 35) by Paul Terhorst. Out of print, but found in libraries yet. He retired in 1984, traveled the world, still doing it and has more money now then when he started. Started using CD’s as earnings base, but gave that up for index funds. He also writes for travel sites. I’m checking my library catalogue now. Meditations is one of my favorites. I also love “The Richest Man in Babylon”. I recommend it for children. Possum Living is now in print again. Someone else mentioned the Tightwad Gazette. That is very practical. “Retire on Less Than You Think” by Fred Brock. I just put in for an interlibrary loan on POSSUM LIVING. In the current (June/July 2012) Mother Earth News (also from the public library) p64 Possum Living is listed for $12.95. Personally I thought “Man, Economy and State” was overwritten and made too much fuss over Keynesianism. Ludwig von Mises’s “Human Action” and Ludwig von Lachmann’s “Capital and Its Structure” were more concise and had less off-topic ranting. Also, Rothbard had a lot of ideas of things that were questionable, and perhaps a bit extremist (not in a good way). vforvoluntary.com now has all of these for free online (my favorite way to read books). Also worth a mention, “The Intelligent Investor” (which you have mentioned, and which someone stole from me >:[ ), Peter Lynch’s books, and Jim Roger’s books are all awesome for learning fundamental analysis. Warren Buffet too, even though he’s a sellout and a crony. This is a great list, I’ve printed this post out so I can get through this list to raise my financial IQ. What about books like Rich Dad Poor Dad or the Millionaire Fastlane? What do you think about those books? Great post, thanks for sharing. I also found ‘Rich Dad Poor Dad’ to be very interesting series. The ‘Millionaire Next Door ‘was a great read too. I believe the Millionaire Next Door is most like ERE.